Central Hudson Gas & Electric Corp. has expanded its commercial electric energy efficiency program to include measures for non-residential applications such as convenience stores, restaurants, cold storage facilities, wholesale distributors and schools. Central Hudson now provides incentives up to 70 percent of the total project cost to replace qualifying refrigeration equipment. This is the second addition to the program this year, with the exterior LED pole lighting added earlier this year. Refrigeration measures are an ideal complement to our successful commercial lighting program, said James P. Laurito, President of Central Hudson. We recently added exterior LED pole lighting to the program, and featuring energy-efficient refrigeration will provide our Hudson Valley business owners with a comprehensive selection of energy solutions. Businesses, institutions and other non-residential customers are eligible for a free, no-obligation assessment by Central Hudson’s commercial energy efficiency program partner, Lime Energy. Participants also receive a comprehensive report providing recommended measures, installation costs, incentives and payback period. The new measures include evaporator fan replacement motors, anti-sweat door heater controls, fan control and management systems, and LED refrigeration case lighting. Qualified customers are eligible to receive incentives up to 70 percent for these upgrades. Replacing inefficient equipment and lighting can substantially reduce electric consumption, which will lower energy costs and help protect the environment, Laurito added. Plus, the LED lighting technology dramatically improves the look of freezers and coolers. The new refrigeration solutions are open to all new and former program participants. 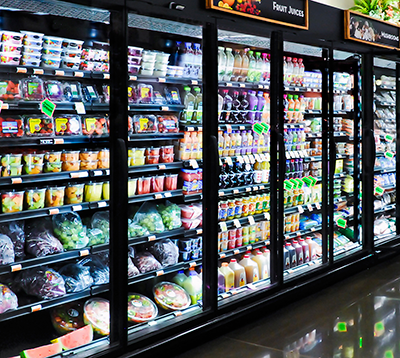 Adam Procell, President and CEO of Lime Energy said refrigeration can account for almost 40 percent of total energy use in typical grocery and convenience stores. This represents a large portion of a business owner’s monthly utility bill, he said. â€œImproving the efficiency of commercial refrigeration equipment will help Hudson Valley businesses save money and make them more competitive in the marketplace. Funding for the program is limited, and availability is on a first-come, first-served basis. For more information, visit www.CentralHudsonRefrigeration.com, or call (855) 236-4832.